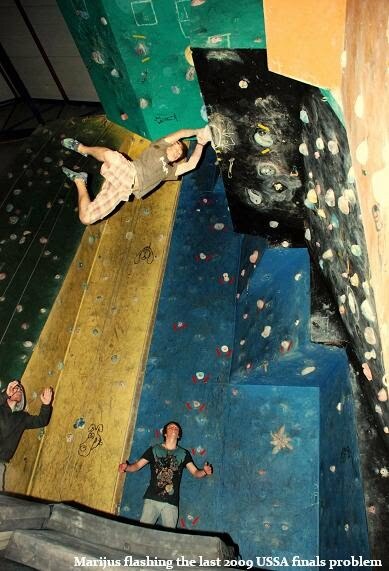 The annual inter-university climbing championship (USSA) was held at The Barn in Pretoria, with lead and sport climbing events. The University of Cape Town dominated in the men's bouldering, claiming all three podium positions. Marijus Šmigelskis flashed all three of the finals problems, Andrew Wood topped out all three, flashing two and Duncan Fraser managed top out two, both on the flash attempt. Ilse Labuschagne climbed very smoothly and also flashed all three of the ladies finals problems. Julia Chen topped out all three, flashing one, and Emma Boyd got close but did not manage any top outs.